This page is here to share the information I’ve collected on Vauxhall fuel computers. If you know what you’re looking for and want to skip my narrative, scroll down to the bottom and click the links there. Number of pulses emitted by the wheel sensor per revolution of the road wheel. 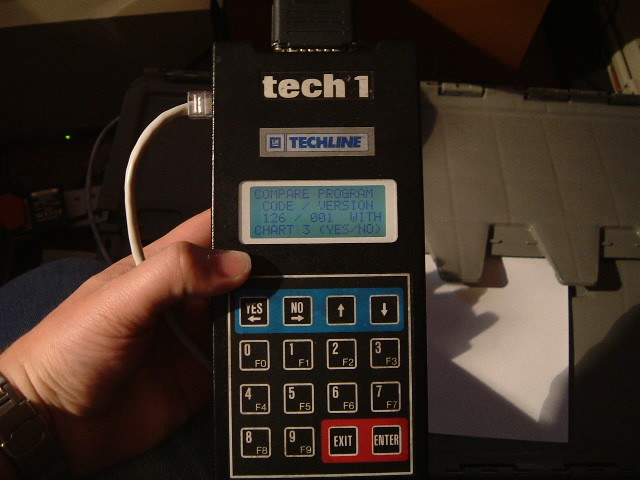 All that sounds complicated, but it’s handled within the fuel computer modules themselves by way of a calibration file. Vauxhall programmes this calibration at the factory, which takes into account all of the factors above and provides a series of programmes which are listed for each engine and wheel size combination. The Fuel computer fits into the same place as the clock or Dual Information Display (DID) and if you’ve not seen them before, it’s easy to confuse the DID for a fuel computer. A couple of photos (below) make that simpler… DID first, then two Fuel Computers on the right. 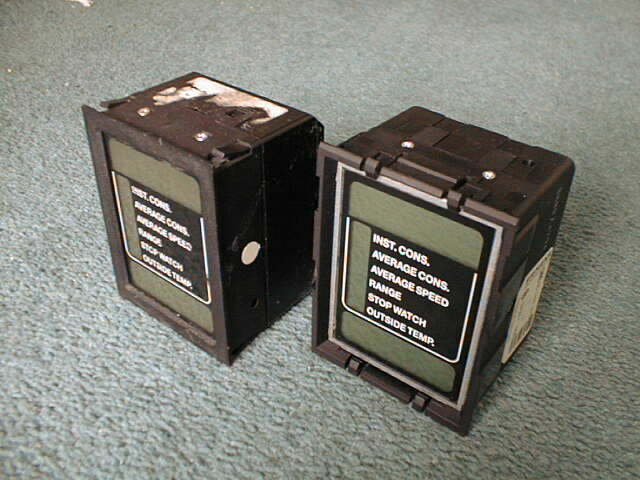 Of the two fuel computers, the one to the left is from a Carlton or Senator and the one on the right is from a Cavalier or Calibra. Electrically they are the same, but the bezels differ as the Cavalier had an external clip on bezel to match the more rounded shape of the dash board. I started out on this subject while I owned a Cavalier 2.5 V6 Diplomat (the ‘Dippy’) which wasn’t as standard fitted with a fuel computer, but already had the loom installed to fit one. My next problem was getting the computer I fitted programmed, which left Vauxhall main dealers as the obvious choice, as they can do this using Tech1. Seeing this as a challenge, I designed and built a programmer to ‘talk’ to the memory inside the fuel computer and extract / modify the information held there. In 2002 I was starting to collect a library of fuel computer programmes, which has grown steadily since. Spotting another opportunity, I bought a real Tech1 and began using that to programme computers for friends and fellow users of the online forums (VxON, MIGweb, Club Calibra and Club Calibra). That took me so far, but there was nothing I could do for non-standard installations of engine, wheels etc. I therefore set to and reverse engineered the fuel computer to allow me to generate bespoke programmes for any engine or wheel setup conceivable. While I have become fairly well known for programming fuel computers, it’s one of those things that takes up too much of my time and I can’t commit to be as reliable as I used to. One suggestion was to put the price up (to lower demand) and the other was just to take a break. I chose to take a break. I have since resumed programming and you can get yours programmed by clicking the link on the left. If you have the enthusiasm and equipment, here is the basic information you need to identify which fuel computer programme you need for your car (standard programmes only I’m afraid). Clicking the links opens a Microsoft Excel spreadsheet with the full list (as I know it) of programmes and what they appear to apply to in terms of engine / tyre configurations. I still do some programming at organised Vauxhall meets, if I’m attending. Failing that, I can probably programme your computer ‘by post’ from my Programming Service page.